As a DC transplant and as a marketer, I know that the best way to learn the ins and outs of a city is through peer influence. Where to go. What to see. Where to live. Now, a year and a half in, I’m ready to take DC for all it has to offer, and I also have some advice to offer. The humidity in DC is killer. Last year we were threatened with cicadas, but now I know that the worst thing about DC is when that swampy mess the city was built on begins to seep out and turn your hair into frizz and drench your favorite suit and tie with sweat. As a girl, it’s all about keeping cool by a pool. DC has tons of roof top pools, public city pools, and surely, one of your friends lives in a Bozzuto community and has access to a pool every weekend. Take advantage. As far as hair goes, DC does not have the best selection of stylists. And those that are worthy of mention, come with a serious price tag. Groupon and LivingSocial are always offering up sweet deals on keratin treatments, but without the proper knowledge, you’re spending $400 on something you can do at home. For a no-fuss keratin treatment, look no further than Lasio Keratin Tropic and your best friend. You can buy a bottle of the salon favorite online and apply by sectioning and straightening pieces of your hair. It’s simple, only semi-permanent, and gives you flawless hair for at least 2-3 months. Moving on to the DC scene. As a 30 year old, the El Centro dance-floor days are behind me, and all I want is a solid pub with some good beer or a classy spot with palette-pleasing wine options. Look no further than Ivy and Coney for your hole-in-the-wall, open-till-3 beer joint. And for wine? Vinoteca not only offers multiple crowd-pleasers in terms of beverages, but has the best ambiance you can hope for on a sunny day. 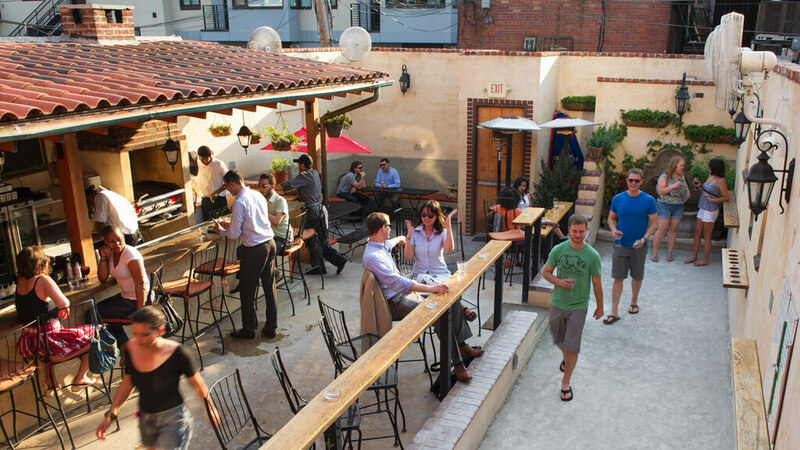 Their sun-soaked back porch is equipped with bocce ball and amazing happy hour eats. It’s a must, but make sure you get there early! Next up, recreation. Though DC is filled with more pavement than lush lawns, there are so many ways to take advantage of the great outdoors. Many locals will direct you to the closest beaches – OCMD, Rehoboth, or VA Beach, but the city offers much more than meets the eye. The spring and summer kickball leagues are a great way to enjoy the last few hours of sun after a long day at the office while simultaneously tying on a few drinks. Not only are you getting out there and being active, but you’re surely meeting new people as well. One of the best things about DC is that most of us are not from here. So get competitive on a kickball team, or step out to a bar or restaurant for a weekly MeetUp. Just make sure you keep your eyes and ears open for all of the hidden gems your new friends let you in on.